On the #Focus5 project we meet girls in the 15-18 age group who have either significant learning difficulties, anxiety or mental health problems, who may have navigated the school system with difficulty or dropped out altogether. In this blog we explore why girls appear to ‘mask’ symptoms of developmental disorders such as ASD, Asperger’s or ADHD from an early age in school and therefore are not given the early specialist intervention they need to support them later in life. Lorna Wing, a pioneer in the field of childhood developmental disorders who advanced understanding of autism worldwide, found historically there was a ratio of 2:1 male to female prevalence of autistic disorder and 15:1 for Asperger’s syndrome, suggesting that girls were less prone to ASD. However, it is becoming clear that girls may be under-represented in Asperger figures because the history of research into ASD has primarily been based on boys. The ways in which Asperger’s syndrome manifests in girls have not been adequately investigated and only in the last five to ten years has attention been focused on females. At primary school, females tend to be relatively more able in social play and have a more even profile of social skills. They seem more able to follow social actions by delayed imitation and their special interests are less unusual and intense. Interestingly, the condition ‘anorexia nervosa’ has been called ‘female Asperger’s’ because lots of girls who present with anorexia have ASD traits. It is thought that anorexia offers girls with ASD a ‘positive outcome’ because lack of nutrition prevents menstruation and physical development. Puberty is when the social and physical difficulties of girls becomes more obvious and intense, particularly as they enter secondary school when they can suffer from bullying and depression. Also teen friendship is based on conversation that is predominantly about experiences, relationships and feelings. The female teen with ASD may be far less mature and may want to continue the playground games of the primary school. They no longer share the same interests as their friends and will find it difficult to navigate these new conversations and emotions. Because girls are not often behavioural or aggressive like their male counterparts, their problems tend to slip under the radar and parents are then faced with a struggle to get daughters assessed by professionals and to be taken seriously by teachers. 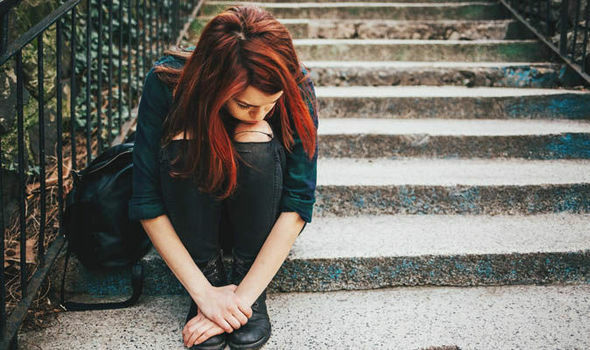 Dr Judy Eaton of Help4Psychology has written extensively on the topic of ASD and girls, and in a recent blog she said even grown women have told her that ‘I walk into the room and feel like people are looking at me’. ‘I have no idea what to say to people or what they expect from me’. ‘Everyone else seems to know what to do’. These are adult women, who have had years to learn how to cope and appear ‘normal’, but who still struggle with social norms. Judy believes what is needed to counteract this imbalance in support between girls and boys with ASD and mental health problems, is a far better understanding by teachers and health professionals about how autism presents in girls and the issues of ‘masking’. She says education and health professionals may need to look again at the research into girls with autism and listen to their stories. They may need to look beyond a superficial sociability and (apparently) good friendships and review whether assessment tools work for girls who mask their problems. She feels the long term risks of not helping these children and young people are significant and real. Many will go on to have relationship difficulties, problems holding down a job and significant mental health problems in adulthood. This is the point where projects like #Focus5 come in, to try and help give these young ladies a stepping stone into opportunities for education, employment or training. Often we have to tread a slow and steady path, encouraging activities to improve confidence, mental health and trust in education providers, before we can make significant progression. If you know of any young ladies aged 15-18 across Devon, Plymouth, Torbay or Somerset who have struggled accessing education or employment and could benefit from the bespoke support #Focus5 offers, please get in touch so we can try to help.